According to the CSLB, “A general building contractor is a contractor whose principal contracting business is in connection with any structure built, being built, or to be built, for the support, shelter, and enclosure of persons, animals, chattels, or movable property of any kind, requiring in its construction the use of at least two unrelated building trades or crafts, or to do or superintend the whole or any part thereof. 4 years of experience performing/supervising general building (Class B) work. A College Degree can be substituted for up to three years of that experience if you don’t have 4 years of general building experience. 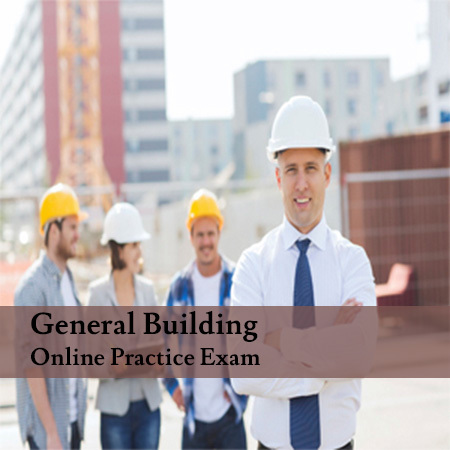 In order to obtain your general building contractors license, you are required to pass the Trade examination as well as the Law & Business exam. Once the CSLB has approved your application, you will be informed of the testing date. We recommend that you give yourself plenty of time to prepare and study, preferably months. One of the most effective ways to prepare for the exam is by using the Peerless General Building (B) Study Guide book. The book includes hundreds of pages of relevant content that is covered on the state exam and also loaded with close to a thousand multiple choice questions.